A Temporary Residence Permit also known as TRP allows you to come to Canada if you are inadmissible or unsuccessful in getting the visa. There can be many reasons you may be denied entry into Canada or be considered inadmissible such as having a criminal inadmissibility to Canada. The temporary residence permit allows you to get special authorization to enter Canada. 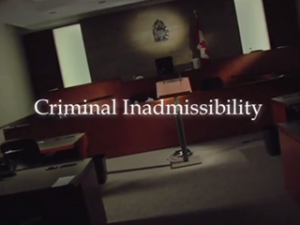 Criminals who are eligible for criminal rehabilitation and have criminal inadmissibility should apply for criminal rehabilitation to absolve themselves legally from the crime to come to Canada. The temporary residence permit allows you to if it has been 5 years since your sentencing and if you have a valid reason. You can only get a temporary residence permit if you are inadmissible and have a valid reason to come to Canada. You can apply at a port of entry or at a Canadian embassy from your country in advance. Who will review my TRP application? The CPC-Vegreville (Case Processing Centre-Vegreville) will review your application to see if it’s complete. You should fill in all the information required on the application because they can send the application back or refuse it which can increase the time for processing even more. If they refer your application to a local office, it can take about three months for them to contact you. What is the TRP application fee? The fee to applying for a temporary residence permit is $200 and won’t be refunded if your application was refused. How long is the TRP valid for? The temporary residence permit is only for the duration of your stay. Once your temporary residence permit has expired, you must go back to your country. To stay longer you must get a new permit before your original permit expires. If you want to work or study during your stay, you must apply for a work or study permit. It is illegal to work or study without a permit to do so. You can only apply for one if you are staying in Canada for at least six months. The temporary residence permit is only for staying in Canada temporarily but not for residing permanently. Can my family members travel with me if I have inadmissibility to Canada? If you are coming with family members that are travelling with you, then they are inadmissible too. They may be allowed to come to Canada or refused. If the officer reviewing your application deems it is necessary under the circumstances for your family members to come with you, then they will be issued their own temporary residence permit. When should I apply for TRP application? As a temporary residence holder you have to abide by the laws of Canada, take the necessary actions to resolve your inadmissibility, leave or request another permit before the expiry date of your permit. You should apply for a temporary residence permit well in advance because the processing times are long. Criminal rehabilitation can take longer than applying for the temporary residence permit alone. To be accepted into Canada with a temporary residence permit, there are certain tips that can help you to strongly present your case to the officer reviewing your application. If you are admissible and comply with the regulations of the Immigration and Refugee Act, then you can apply at a port of entry. But if you know you are inadmissible or have done something that can make you inadmissible then you should apply at a consulate from your own country of citizenship. If you have committed a crime, then you can show remorse (regretting your crime and showing how you will improve). This is because if the officer thinks you will re-offend again, then they will most likely not allow you in Canada. Another tip is to show more documentation than required. You can show documentation to show that your reason to coming to Canada is valid and compelling, your criminal record, and references (to show your character). If you committed a crime, then you may be eligible to apply for criminal rehabilitation. If you complete criminal rehabilitation successfully, the crime you committed will no longer make you inadmissible to Canada. If you have been convicted of a single or minor crime, you won`t need to present as strong as a case as someone who has committed multiple offense or an indictable offence (felony in the U.S.). The officer will also bear in mind need vs risk. If the need to come to Canada is greater than the risk you pose to Canada, then you should be accepted most likely. On the other hand, if the risk you pose to Canada is greater than the need, you will most likely be denied. If the officer thinks you are good to go, then you will be issued a temporary residence permit. Make sure if you need to extend your stay that you apply for renewal before your permit expires. Staying beyond your permitted stay is illegal and there are fewer chances that you will be issued another temporary permit in the future. Apply in advance for your TRP or Criminal Rehabilitation application you can do so by applying at a consulate from your country. Should I file my own TRP application or hire an immigration lawyer? Filing for a temporary resident permit application is not an easy process; many clients try to file their own application and the immigration officer refuses due to not having sufficient supporting documents to support their case. Hiring a representative will be very beneficial to you as they will review and prepare a strong application for you with all the supporting documents that the immigration officer will be looking for. If you have an urgent travel date to Canada but have denied entry for criminal inadmissibility and require assistance with your TRP application feel free to contact us at 416-477-2545 or call our toll free number at 1-877-820-7121 and will be glad to assist you with your matter. At Akrami & Associates, there is always a way!